In the name of the Father, and of the Son, and of the Holy Spirit. Grab your rosaries, everybody, because the Antichrist is coming to turn your TV sets into conduits for pure evil. 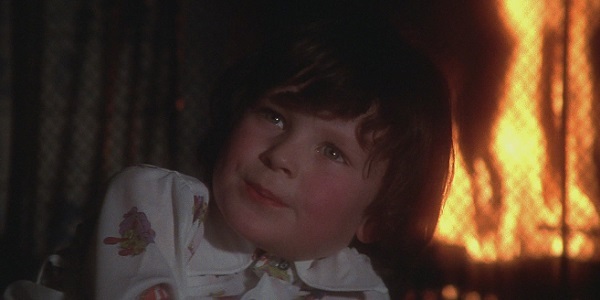 Lifetime has put in an official straight-to-series order for Damien, the small screen quasi-sequel to The Omen coming to us from The Walking Dead’s former showrunner Glen Mazzara. That means, of course, that they don’t have to go through with making a pilot…a Pontius pilot. Certainly that joke is as groanworthy as this series existing in the first place, but for now we’ll just have to hope for the best. Lifetime ordered six (six six) episodes of Damien, which potentially signifies a tight, fluff-free storyline. Mazzara, whose past work also includes writing and producing for The Shield and Crash, will be writing the shortened season and executive producing along with Ross Fineman (Lights Out), who helped develop the project for television. To be expected, Damien will ignore the cinematic sequels (and potentially the entirety of the canon) and will instead set a grown-up Damien within our modern world, unaware that he is surrounded by demonic forces. Now haunted by his past, Damien must realize and accept the fact that he was born to be the Antichrist, and the Antichrist is what he’ll be. I rather like considering the most powerfully evil being in the world sitting at a computer desk and doing an online crossword puzzle in his spare time. In the press release, Lifetime’s Executive Vice President and General Manager Rob Sharenow described Mazzara’s contemporary take on the titular character as “a dark, romantic anti-hero,” and that this series will offer up complex characters and “premium storytelling.” No subjectivity in the latter descriptor at all. Lifetime is planning on bringing the show to audiences in early 2015, which probably means the casting process will begin soon. Given that Lifetime hasn’t really hit the main stage yet as far as acclaimed original series go, it’s hard to tell what level of actor they’ll be looking for to take on this new adult version of a horror icon. I’m guessing Matthew McConaughey is completely out of the question, but they should at least aim high. Maybe Mazzara can bring former Walking Dead star Jon Bernthal into this. If you needed more wacky Lifetime projects to tide you over until all Hell breaks loose, there’s always The Unauthorized Saved by the Bell Story airing next Monday, as well as the currently in-development Clan of the Cave Bear pilot. The network is also getting into the dead celebrity biopic game, for those who prefer the horrors of real life.